Sparco Seat Accessories - Competition Side Mount UNIVERSAL - Pann Auto Performance - San Diego largest aftermarket automotive performance parts - What do you drive? When mounting your Sparco Competition Seat, the use of Side Mounts is necessary for proper installation. 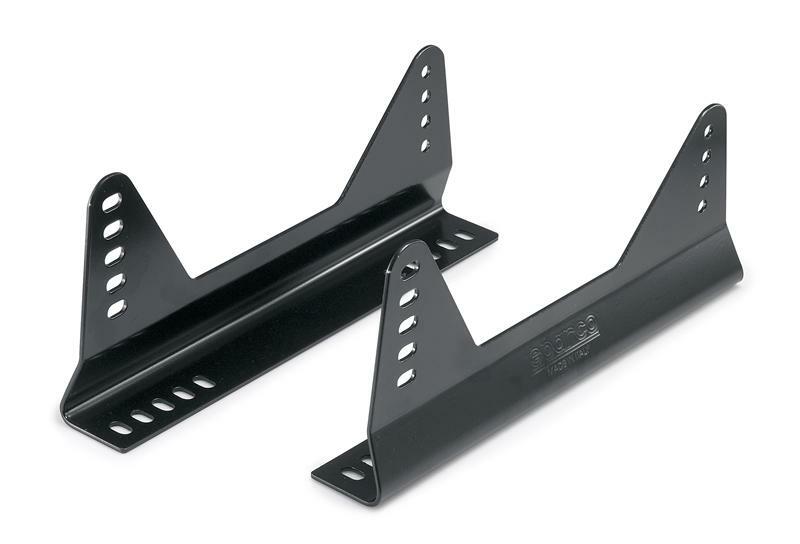 Sparco side mounts are used to mount competition seats. Side mounts have mutliple side holes that provide a customizable mounting position. All Aluminum construction available in anodized black only. Sparco side mounts are used to mount competition seats. Side mounts have mutliple side holes that provide a customizable mounting position. This extended aluminum side mount allows for greater range when mounting the side mount. Sparco side mounts are used to mount competition seats. Side mounts have mutliple side holes that provide a customizable mounting position. Available in black or red.